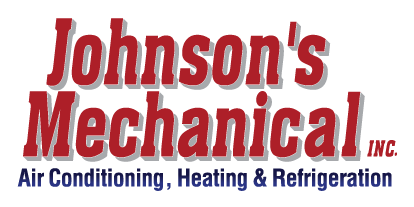 Commercial AC Repair, Auburndale, FL | Johnson's Mechanical Inc. Commercial AC Repair, Auburndale, FL | Johnson's Mechanical Inc.
We are committed to giving your Auburndale business the best commercial AC repair services possible. It is not usually a pleasant matter to wait around for AC repair at your home, but when you need commercial AC repair for your Auburndale, Florida business, the urgency is even more pronounced. That is why you need a company with quick response and 24/7 availability, and that is what you’ll receive when you call our staff at Johnson’s Mechanical Inc. We are committed to providing you with the best service. We have been providing quality commercial AC repair and other services since 1982, and we are licensed, insured, and state certified. We have the experience needed to work on any and all makes and models, including complex commercial systems. Your commercial AC repair will be conducted in a professional manner that respects your staff, your customers, and your time. In addition to providing quality commercial AC repair, we can also provide maintenance designed to minimize the need for repairs. Preventative maintenance is effective for reducing repairs, but is also key for lowering cooling costs and extending the life of your air conditioning system. When we conduct a commercial AC repair, we also keep in mind what could have caused the problem. By diagnosing the potential causes, we can provide you with advice for making sure it doesn’t happen again. You can also trust that our integrity will dictate whether we advise you to continue with the repair or if it is time for a new system. The choice will ultimately be yours, but we provide you the proper information to use when making the decision. If you have questions about commercial AC repair or any of our services, don’t hesitate to contact us.